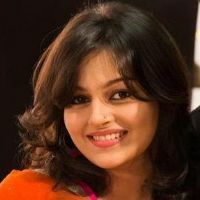 Check out the most updated and latest information about Nehalaxmi Iyer's on the Internet.We have 12 videos of Nehalaxmi Iyer including interviews, events, or public appearances.Nehalaxmi Iyer has over 210 Fans registered on India-Forums.com. We have 91 Television News articles related to Nehalaxmi Iyer.Do share your criticism, comments and feedback for the Actor on Nehalaxmi Iyer's comments page. We have over 25 Photos of Nehalaxmi Iyer to view and download including Nehalaxmi Iyer's Wallpapers. Nehalaxmi Iyer has been doing a fab job in Ishqbaaaz since the change in her character! Nehlaxmi Iyer girl your amazing such a beautiful girl ever. Cute actress love u to the core. Please come back as Saumya in IB waiting for you. Neha you're beauty at it's best. You're doing an amazing job. Neha you are doing amazing job as Soumya in IB.